Podcasts from the South theme song, “Syncopated Bell,” by María DeGuzmán © 2016. “Montaged Spaces, Literary Journalism, and Urgency” is the third Podcast from the South, spotlighting Stephanie Elizondo Griest, memoirist, travel writer, and chronicler of the borderlands. Elizondo Griest is also Assistant Professor and Margaret R. Shuping Fellow of Creative Nonfiction at The University of North Carolina at Chapel Hill and the author of three memoirs: Around the Bloc: My Life in Moscow, Beijing, and Havana; Mexican Enough: My Life Between the Borderlines; and All the Agents and Saints: Dispatches from the U.S. Borderlands. Topics under discussion range from the boundaries of the United States North and South, Canada and Mexico, and in-between-ness, to South Texas and environmental justice. Elizondo Griest takes us to the key aspect of her biographical formation: Corpus Christi, Texas, a city that spurred her nomadic inclinations and destinations. 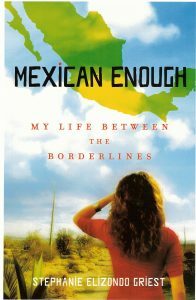 Her writing, she adds, “is a reflection of what it means when an international borderline cuts right through you.” Her narrative form takes on a particular fusion that simultaneously advances her literary form. I fuse everything, don’t I? I am biracial, bicultural, bilingual. And I also fuse form. 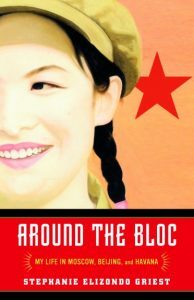 So all three of my books are written in a fusion of a literary journalism, travel writing, and memoir writing. And it’s pretty evenly split, I would say, between the three. That, to me, is really a dynamic way of writing. That’s also just the way I increasingly process the world. 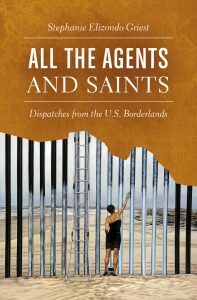 And, just as her latest nonfictional work turns to environmental degradation, urgency, and forms of survival and recovery, Elizondo Griest also speaks of learning about her ovarian cancer diagnosis during her 40-city book tour of All the Agents and Saints. “Podcasts from the South” ​are a series of conversations ​​created ​and hosted by María DeGuzmán at The University of North Carolina at Chapel Hill and Claudia Milian at Duke University.